The I-2100 uses the Coil-Tech Coulter II, a heavier coil spring, to carry larger 5-bolt hubs and 22" blades, increasing Coil-Tech's jackhammer effect and allowing the coil spring to penetrate into tougher ground conditions. The I-2100 employs the heavy frame design used for the rubber suspension I-series machines for increased weight per blade and to manage the additional vibration created by this second generation Coil-Tech. True to the Independent series design this machine is able to cover an acre per hour per foot - a 41' machine will cover 41 acres per hour. 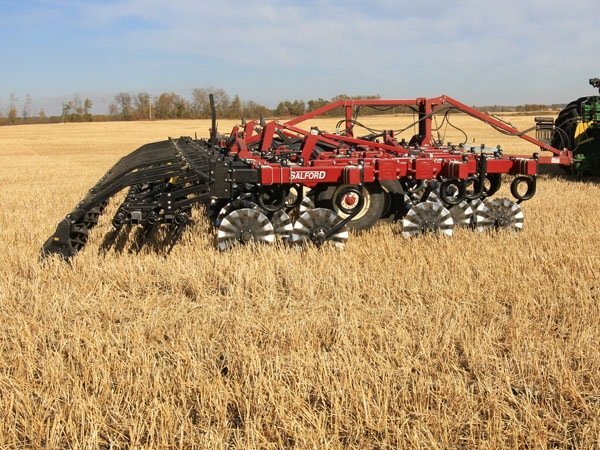 The I-2100 has been engineered for compatibility with I-series seeding and fertilizer attachments to allow producers to combine field operations saving fuel and man hours.